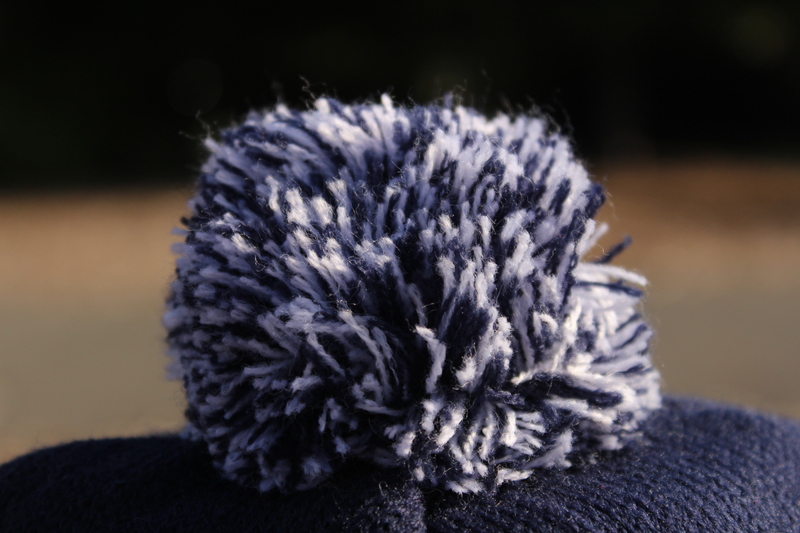 This beanie is navy blue with white stripes. 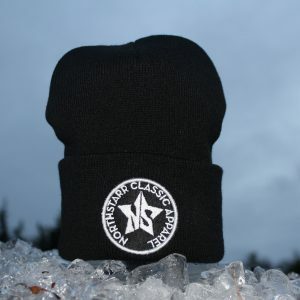 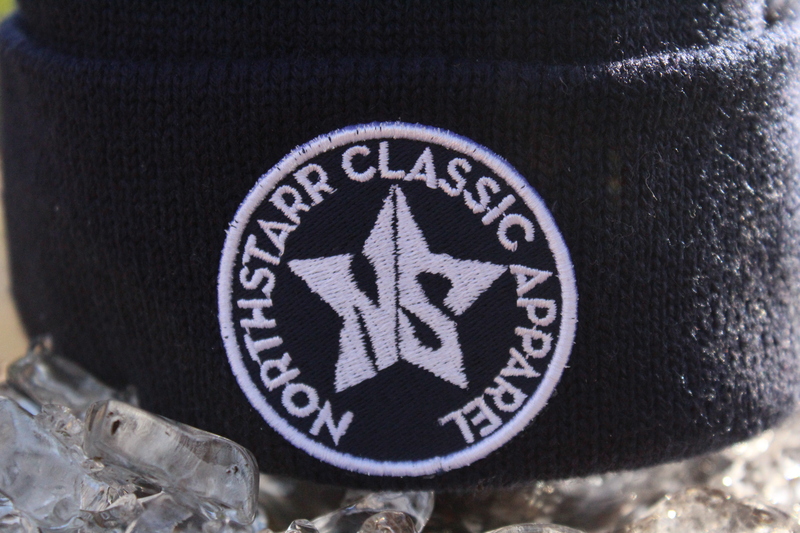 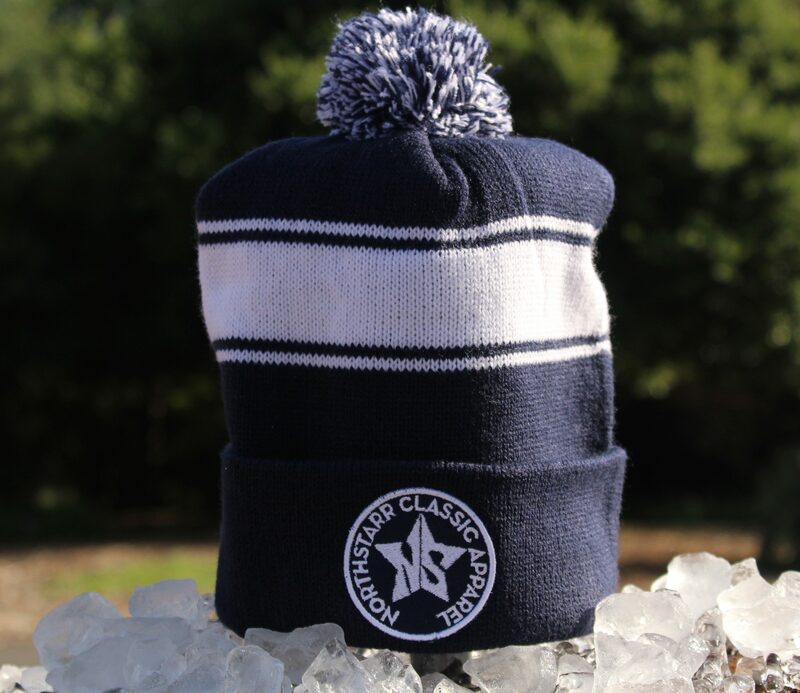 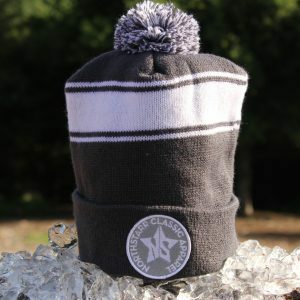 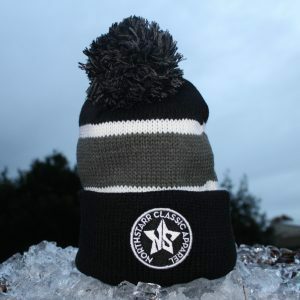 It has a blue and white pom pom as well as a navy blue and white NorthStarr Classic Apparel logo. 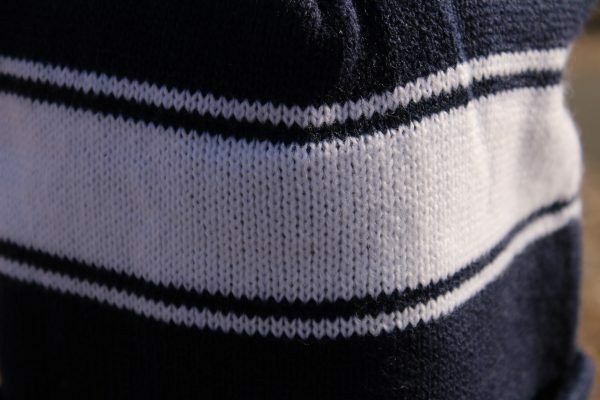 This hat will stretch to fit most adult head sizes.